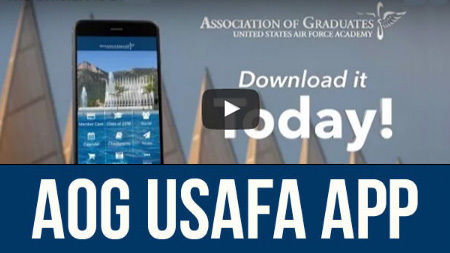 We invite you to join the Association of Graduates to show your support for the U.S. Air Force Academy, the Graduate Community, and the Cadet Wing. As part of our service and thanks to our constituents, we offer discounts and exclusive access to products, specialty items, and programs. Please take a look at what we offer. Entry into AOG hosted events is discounted for AOG Members. 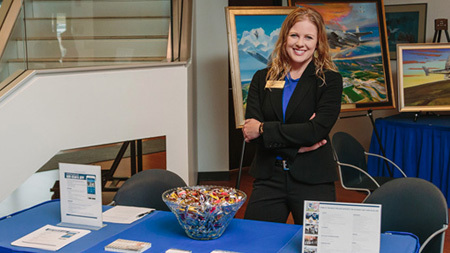 Join graduates, parents and USAFA supporters at events taking place all over the United States. The Register of Graduates is available in electronic (.pdf) form. Find other members in the AOG database. Scholarships for dependents of graduate members. 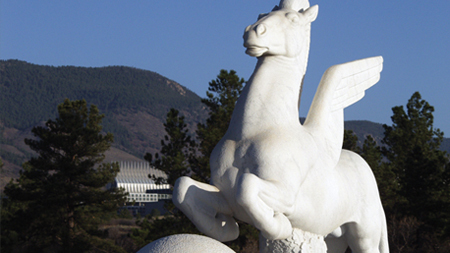 This access badge will allow Air Force Academy graduates and selected alumni to enter the Academy by either the north or south gates and pass through the internal checkpoints at any time of day and to vouch for anyone in their car. AOG Life Members receive a discount on pricing (up to $1,000), depending on the function. Exclusions apply, call 719-472-0300 ext. 147 for details. 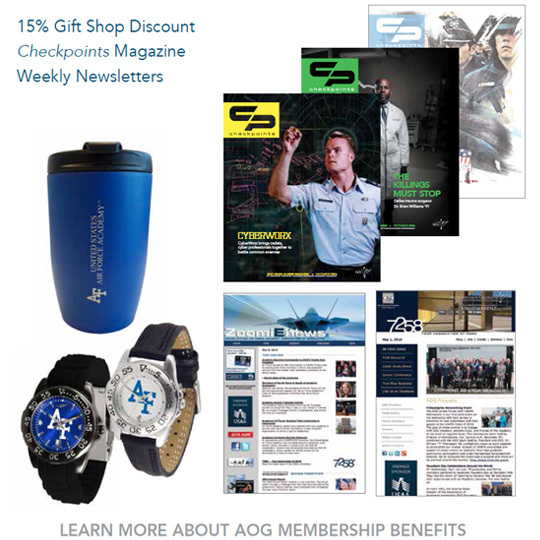 AOG Members receive a 15% discount for online and in store purchases at our Gift Shop. Save up to $30 on registration. The award-winning AOG Alumni magazine. All AOG members get the privilege of staying on base at the Rampart Lodge. Rampart Lodge is an Air Force Inns facility with 82 guest rooms, many of which have been recently remodeled, and 20 extended-stay facilities. See their website for details and to reserve your stay. WebGuy and his team of photographers will keep you connected to your cadet all year long! Parent Club websites hosted by the AOG. Contact Bill Preston for details. Entry into AOG hosted events is discounted for AOG Members. Join parents, graduates, and USAFA supporters at events taking place all over the United States. The AOG provides resources to help your transition. Honoring our fallen comrades and classmates. Request a tour of the Cadet Area. From conceptualization to delivery to repair/replacement, we're involved. Make reservations to golf on the beautiful Eisenhower Golf Course (719-333-2606). Apparel and accessories with your class crest. Display your cadet saber in quality products from R & R Woodcrafts and Graphics. Call 1-800-984-2160. Graduates of USAFA may purchase sabers. Call (719) 472-0300. Rent sabers for special occasions. Call (719) 472-0300. Class web sites hosted by the AOG. 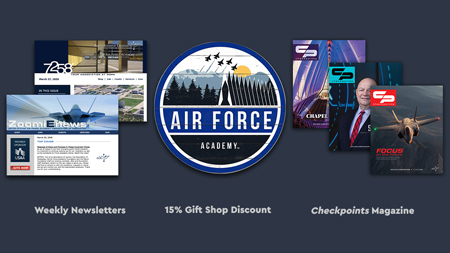 Enjoy significant discounts and travel in style with friends and fellow USAFA Alumni through our three travel programs! 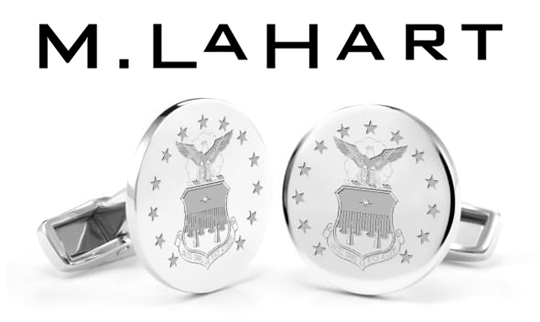 Shop online for Watches and Jewelry that would make great gifts for your friends and family. Quality gifts and frames for diplomas, commissions and other significant documents. Call 800-477-9005 or 203-268-1535. Graduates and friends can have this license plate on their Colorado registered vehicles.